In the third task I have to add a gallery. 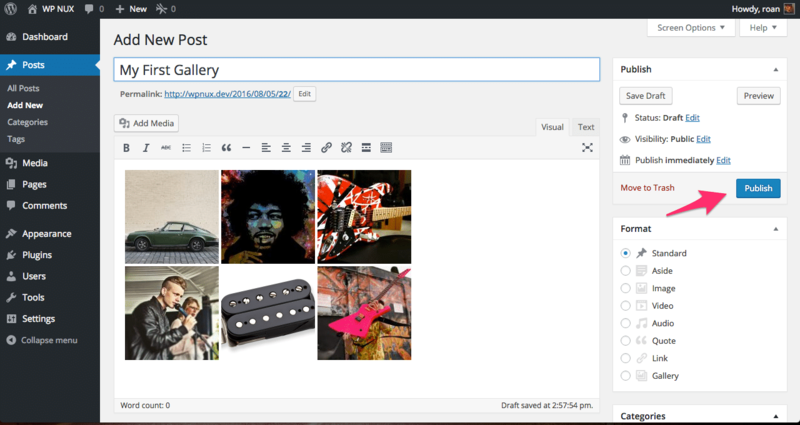 After quite a while of searching I find out that if you make a post there is an option for making the post a gallery. 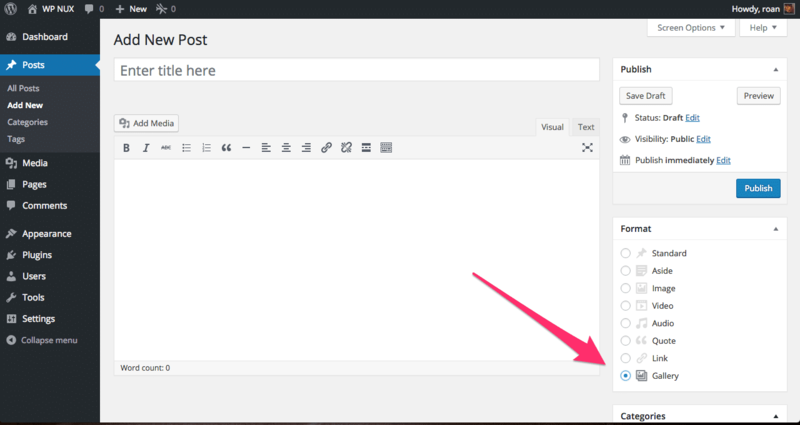 So the first thing I do is make a new post by click add new when hovering over the post button on the left. 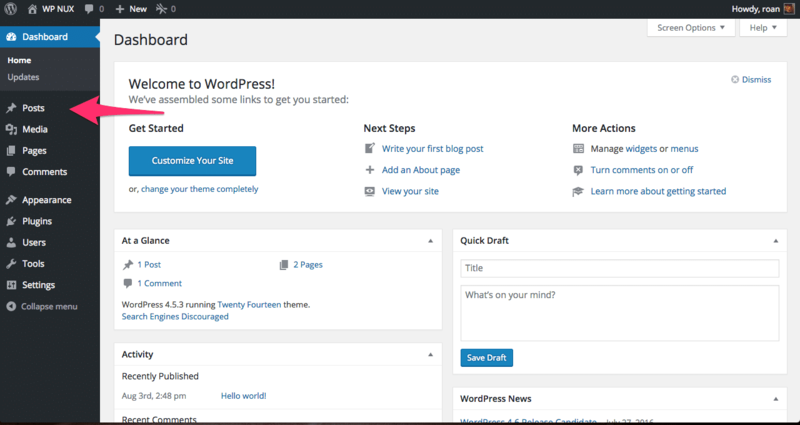 When the page reloads I can see that on the right I have the option to make the post a gallery so obviously I thought i could create a gallery by selecting that option. However, selecting gallery didn’t do anything, not even when saving the post as a draft triggered what I thought was going to happen. So, I ended up having to ask my dad how to actually create a gallery. Not obvious at all as it turns out. 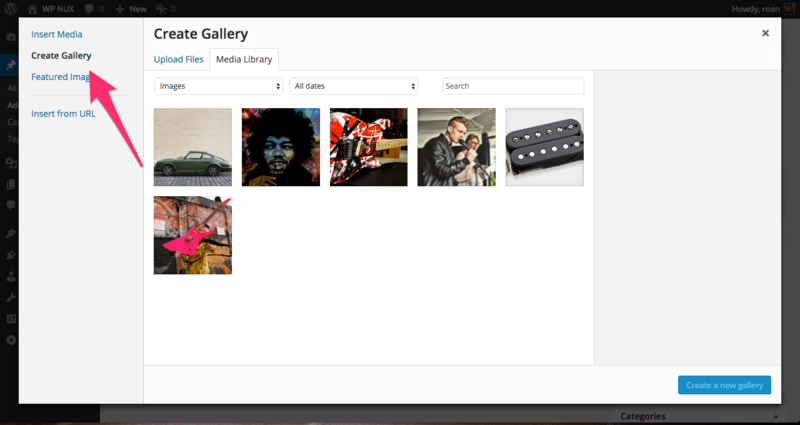 The way to create a gallery is by creating a (new) post and then use the add media button. It’s very easy to miss but the screen presented when I click the button has an option on the left that says create a gallery. 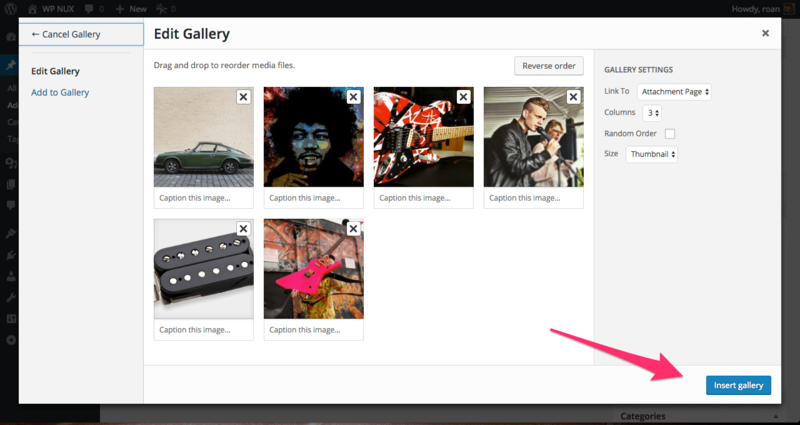 Next up I select the images I want to have in my gallery and click the create a new gallery button on the bottom right. After that I see the screen below and click the insert gallery button. And finally I add a title to my gallery post and press publish as shown in the image below.